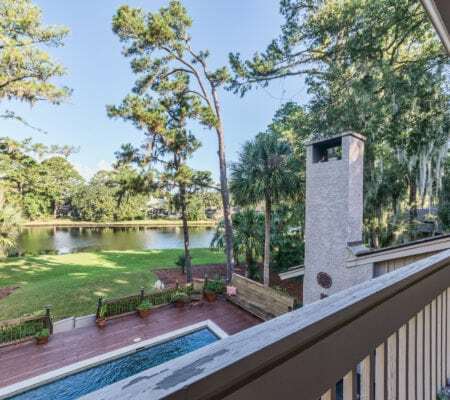 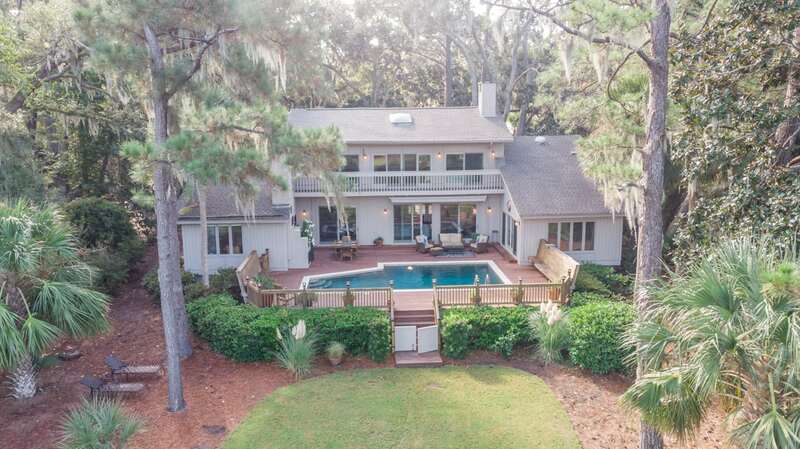 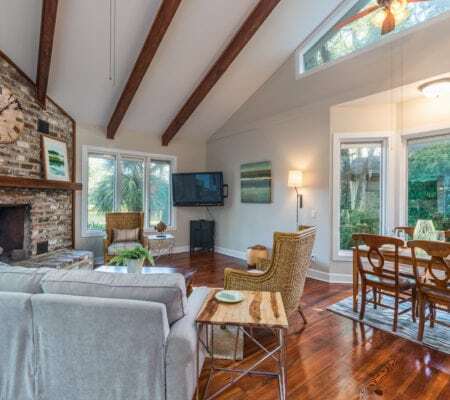 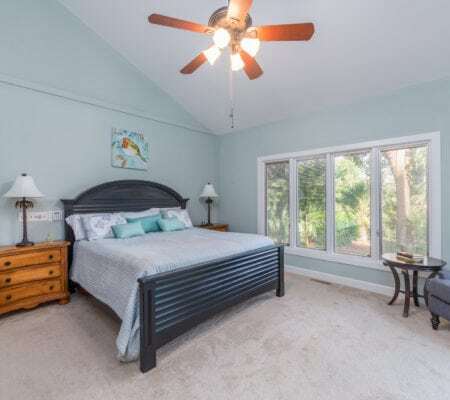 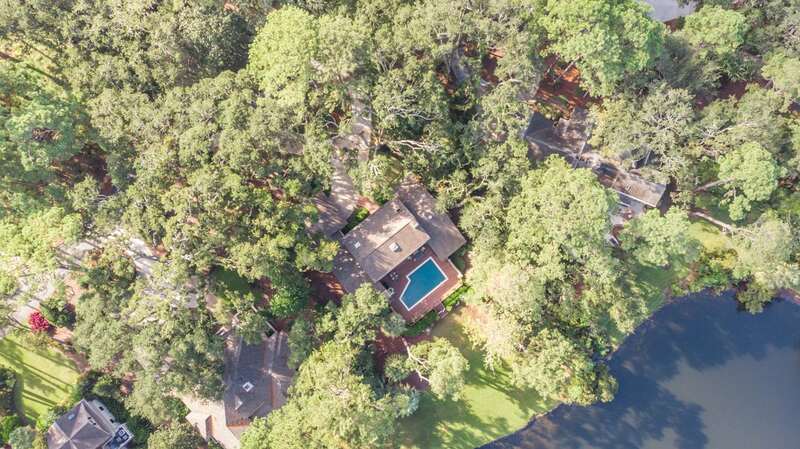 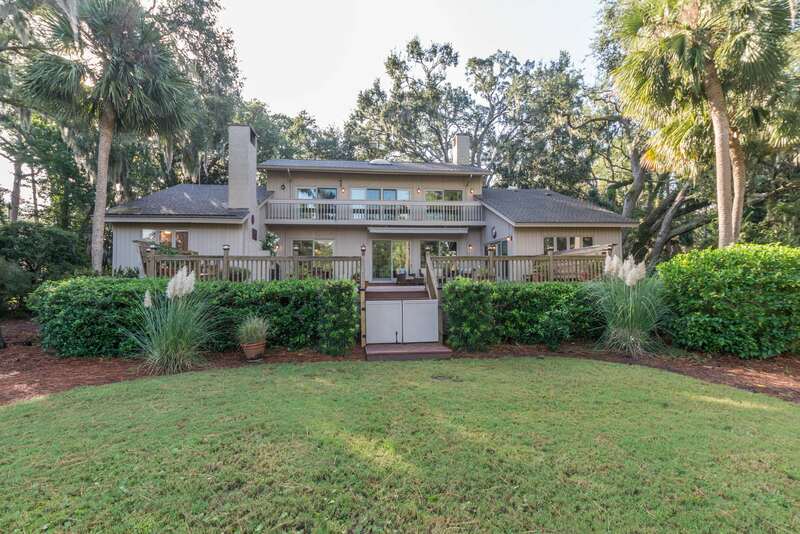 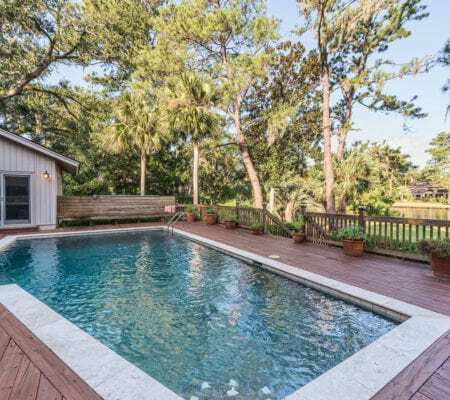 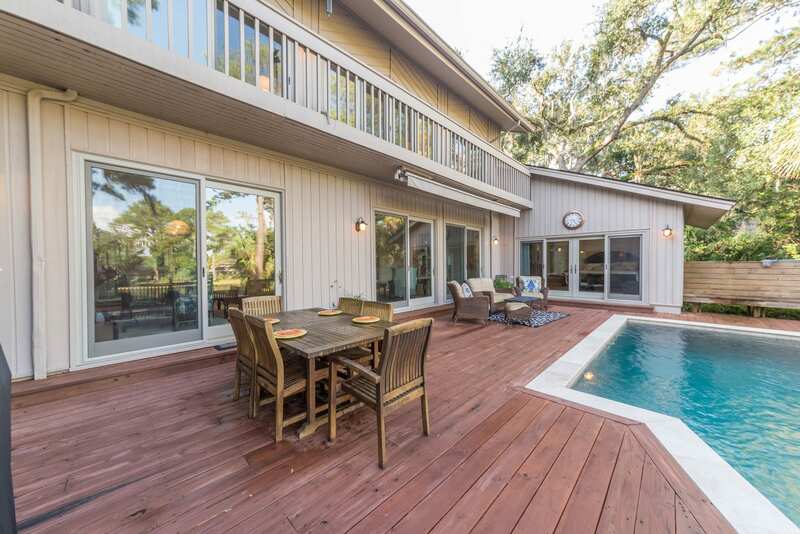 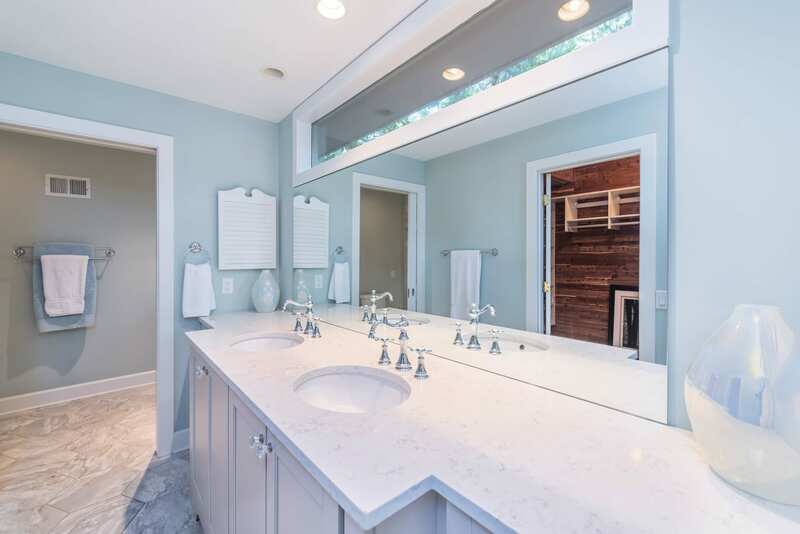 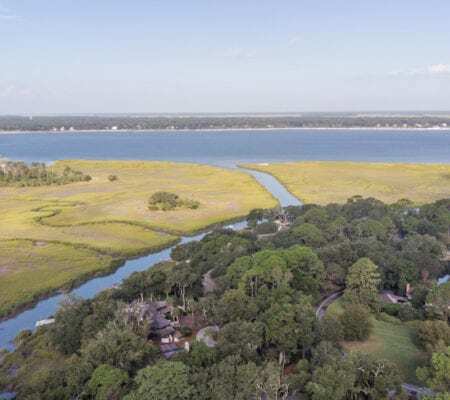 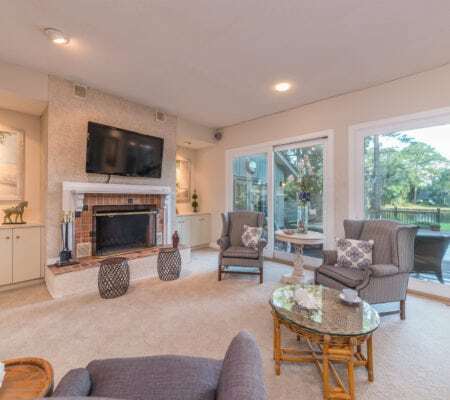 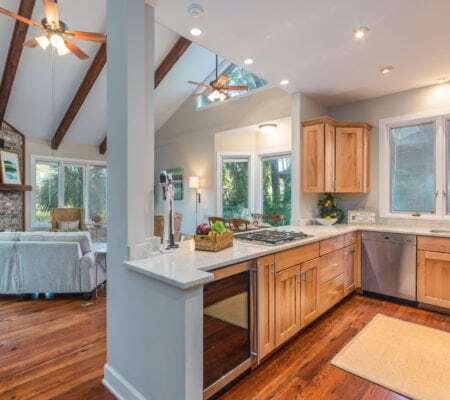 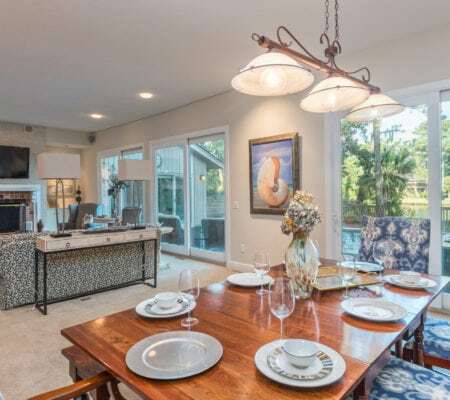 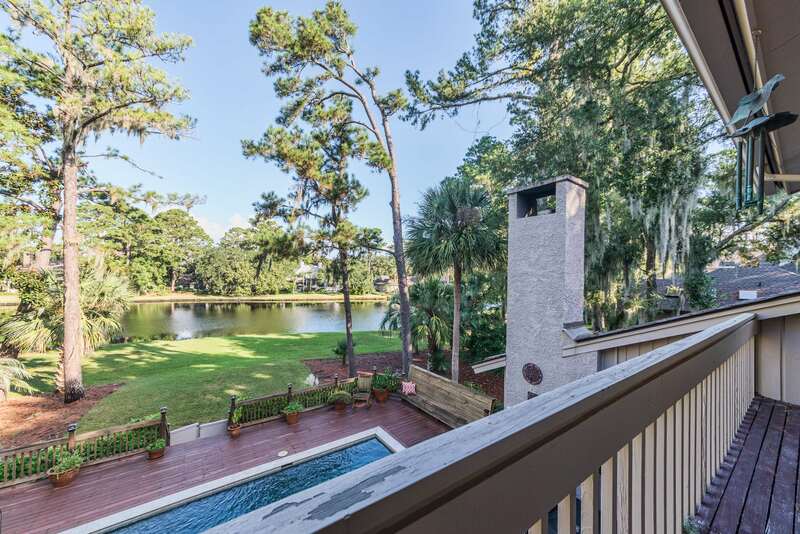 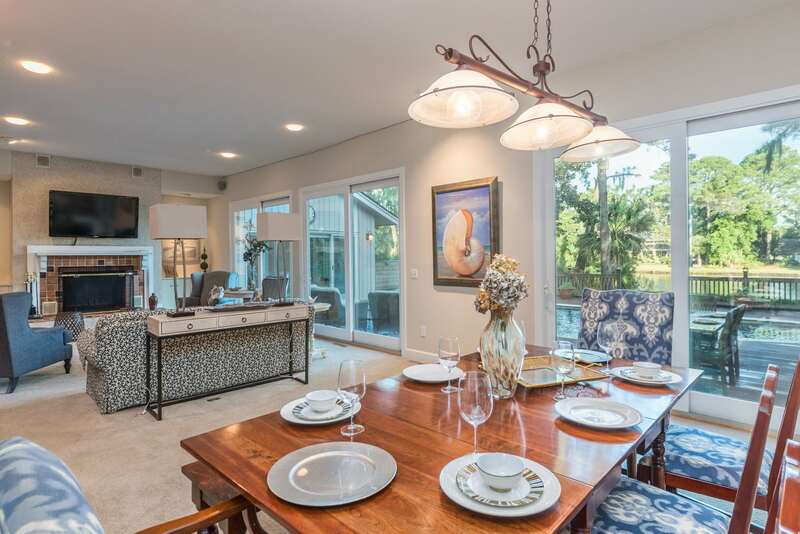 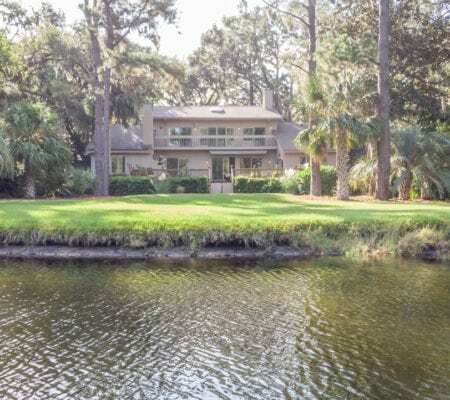 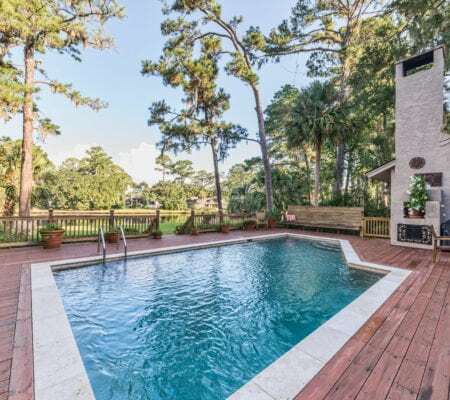 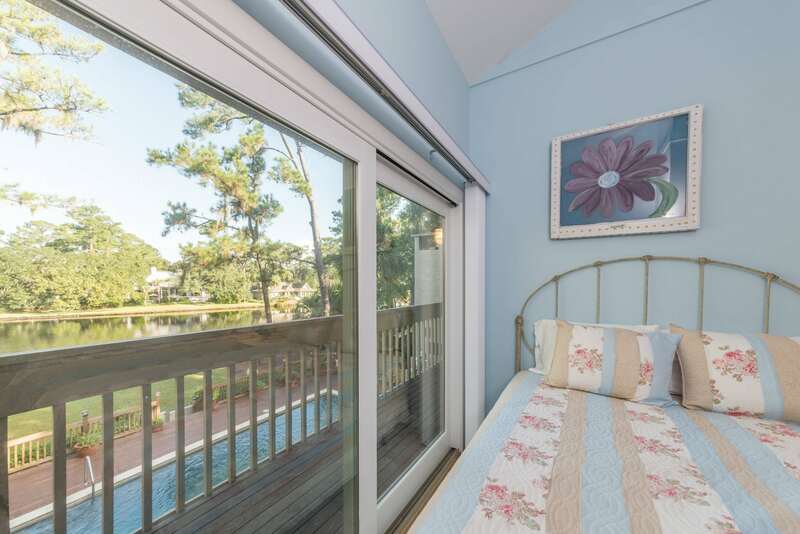 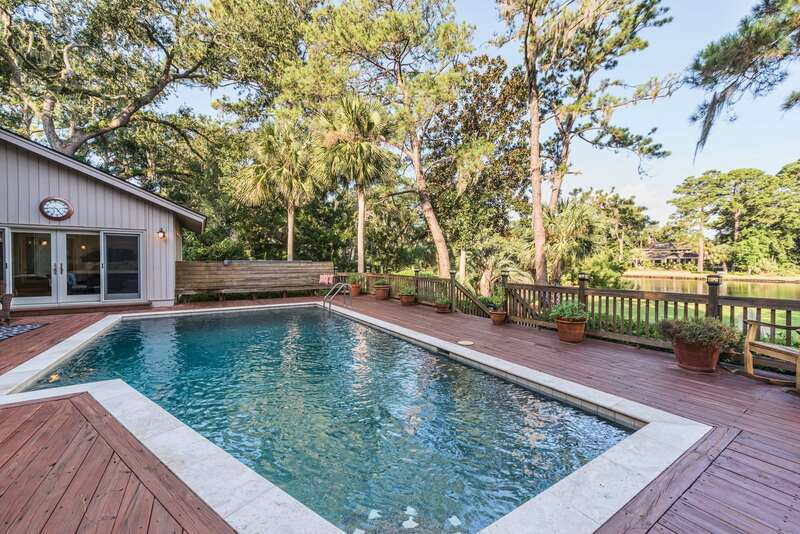 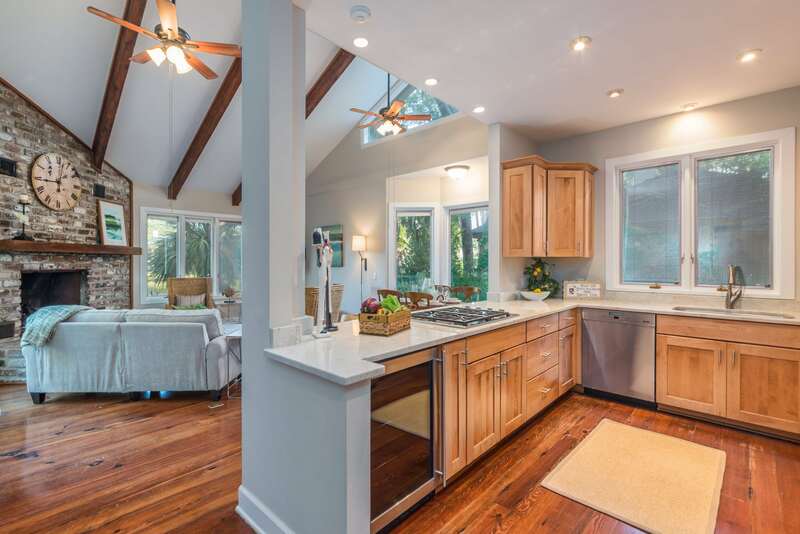 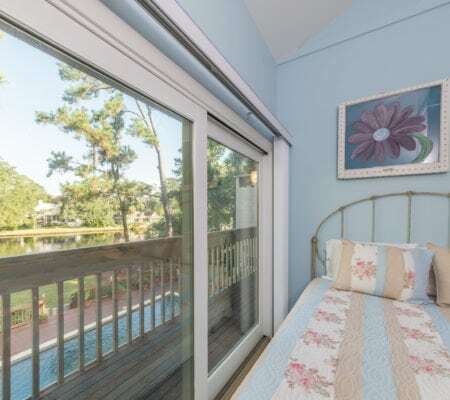 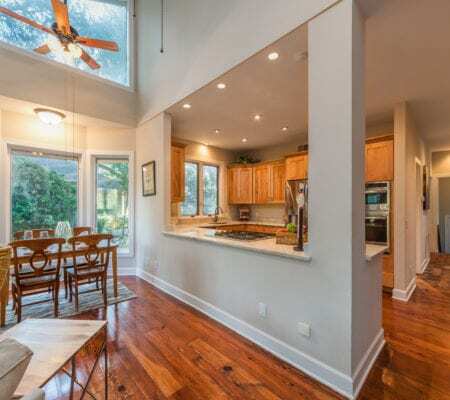 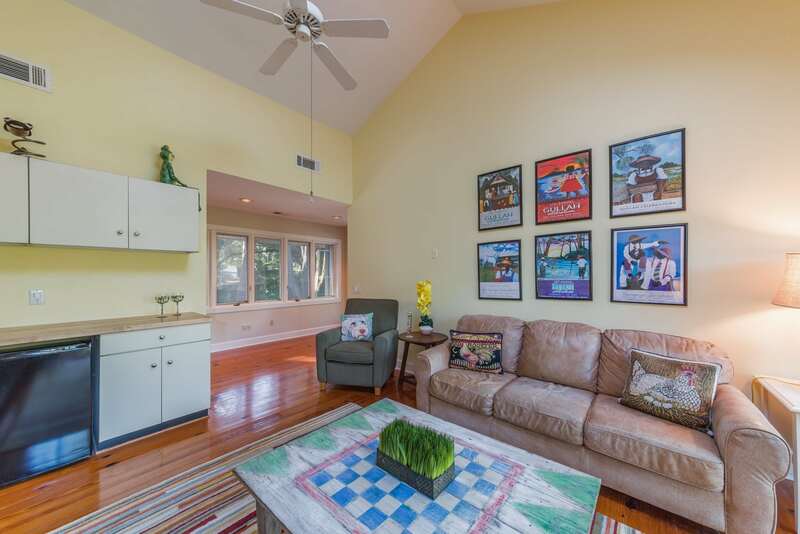 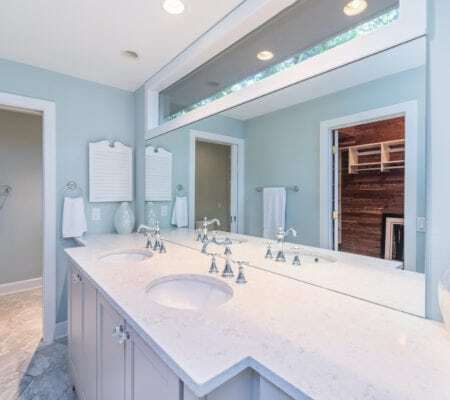 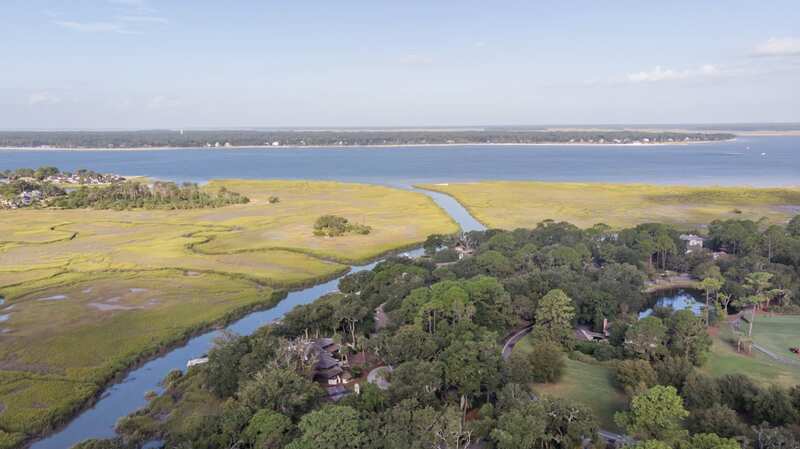 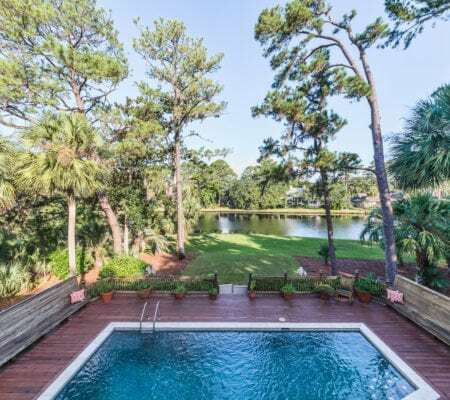 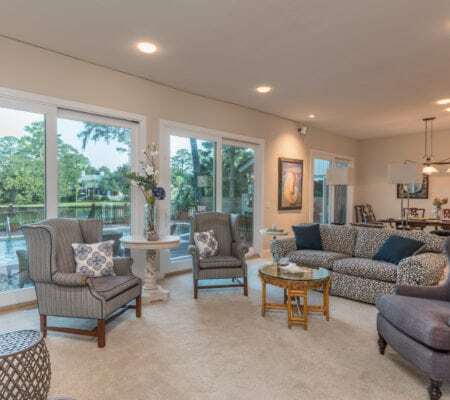 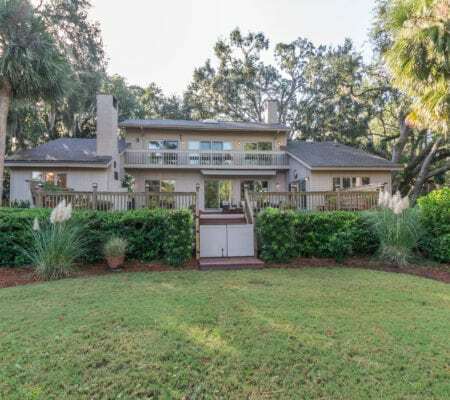 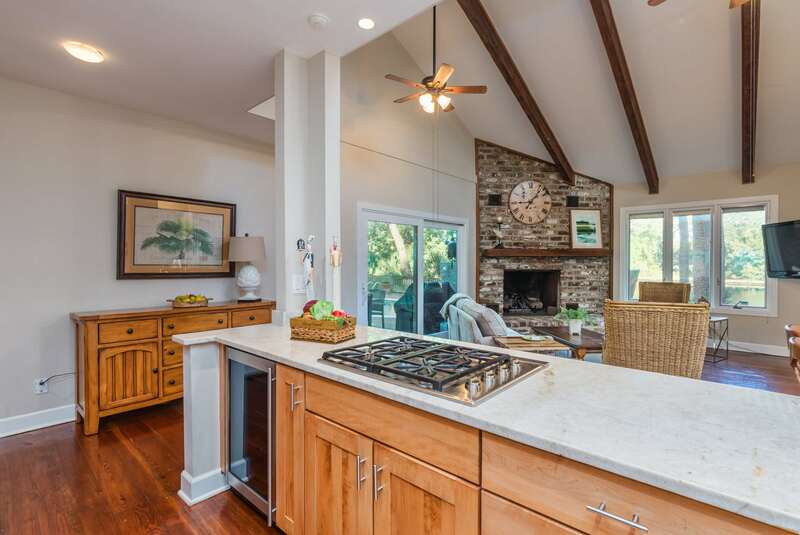 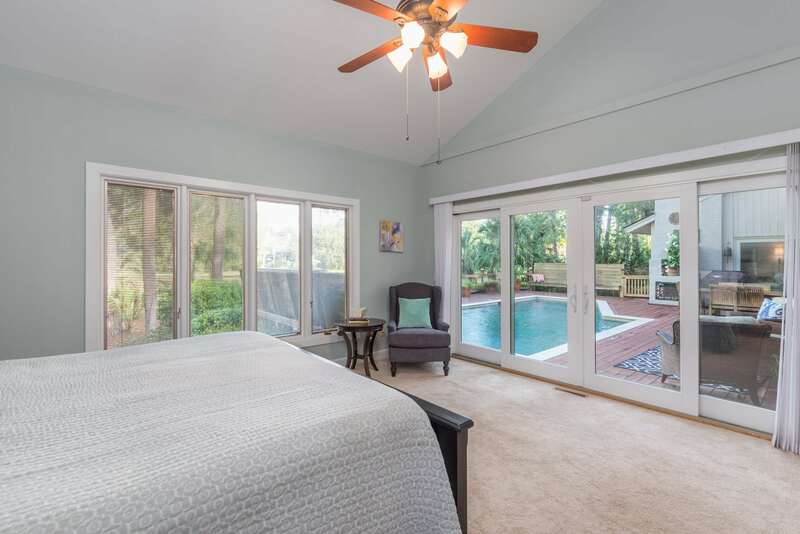 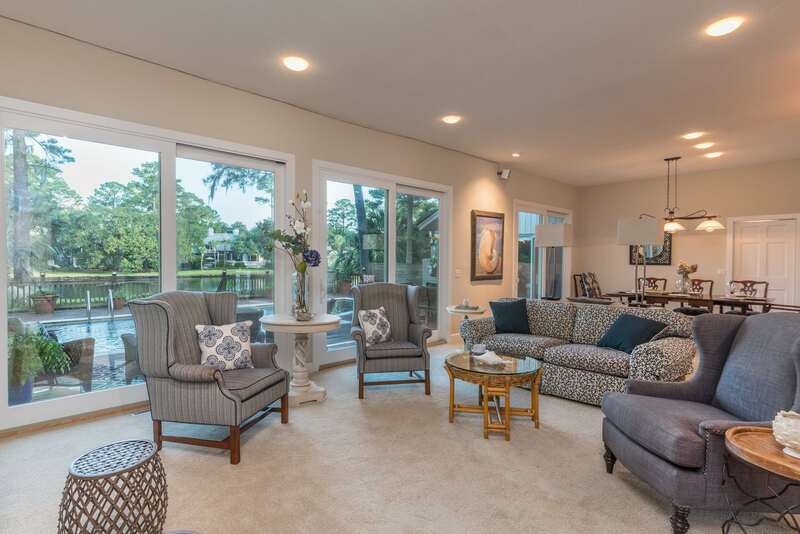 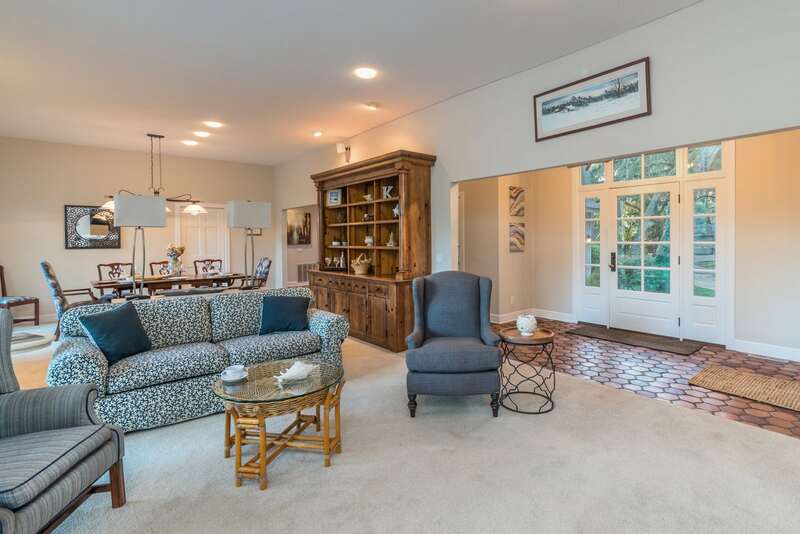 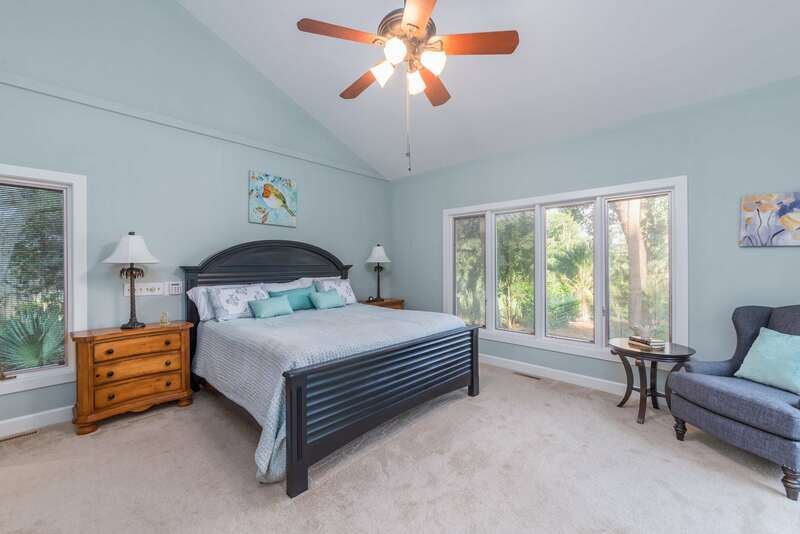 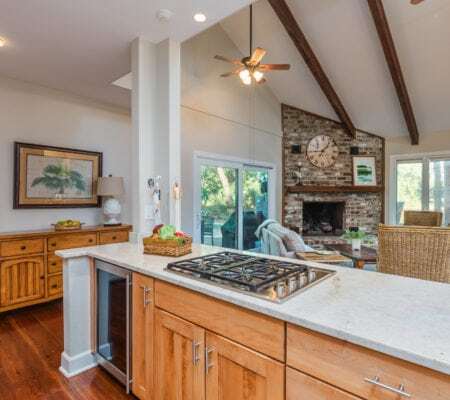 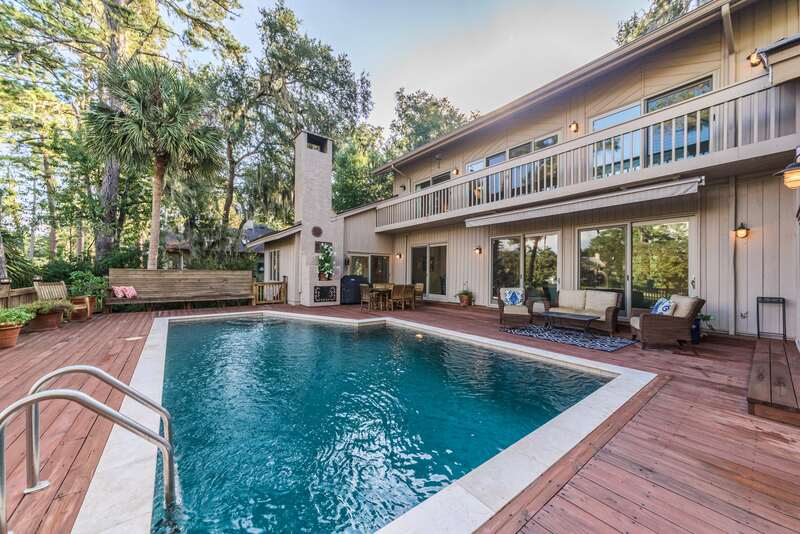 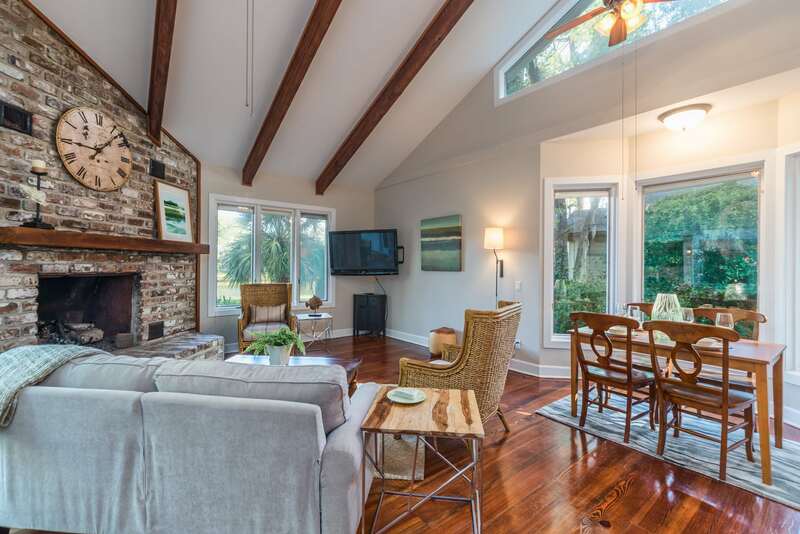 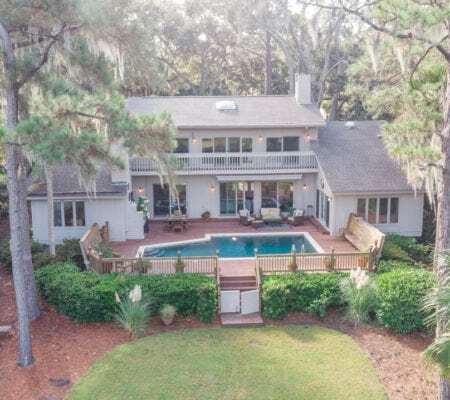 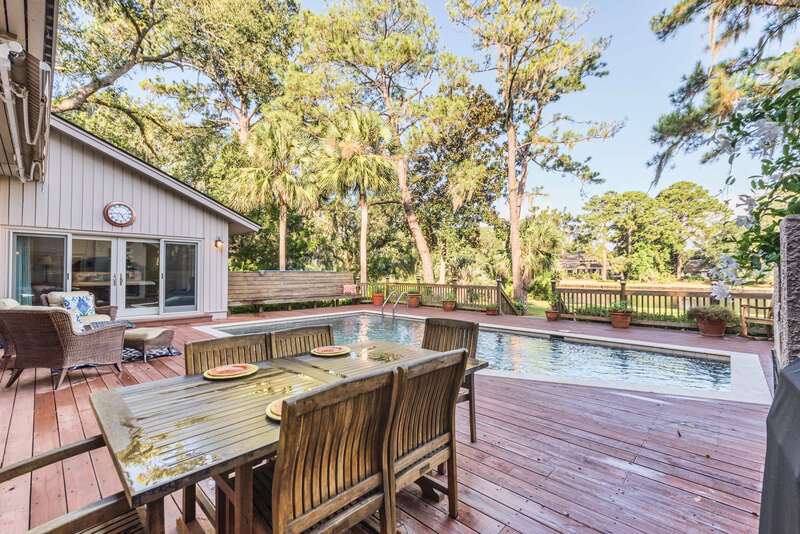 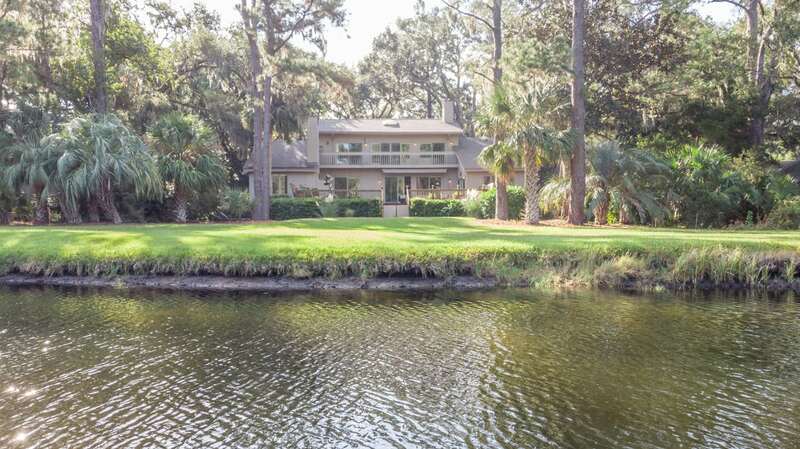 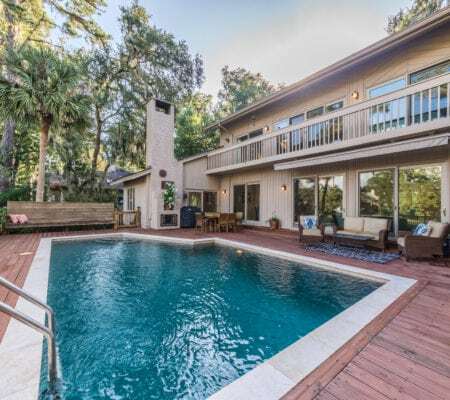 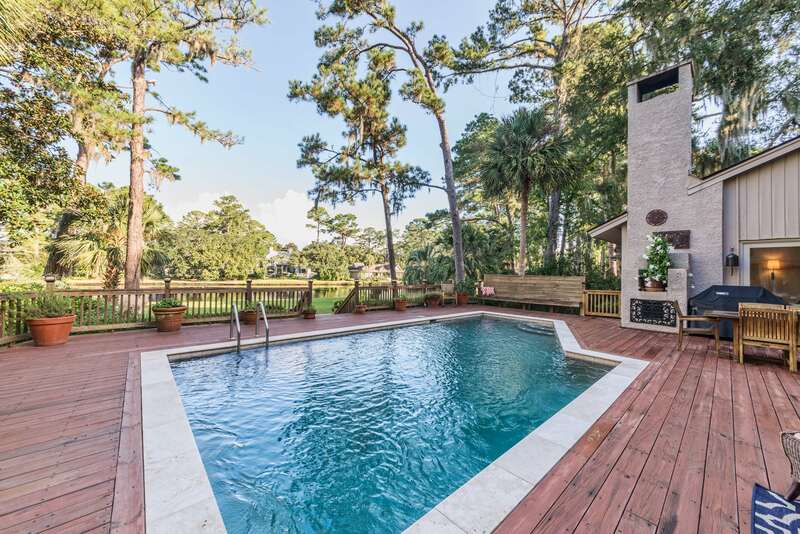 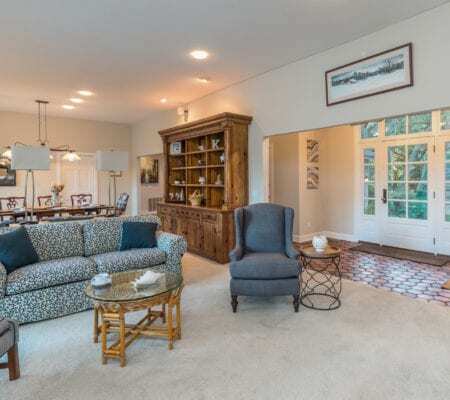 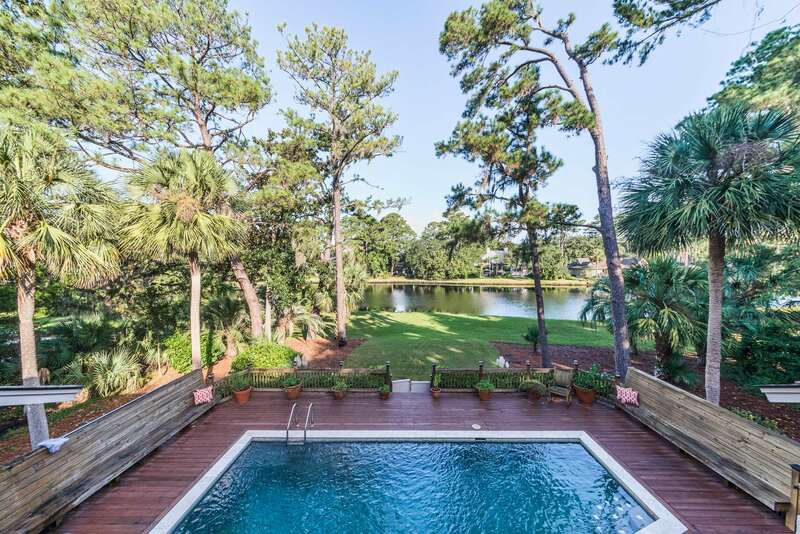 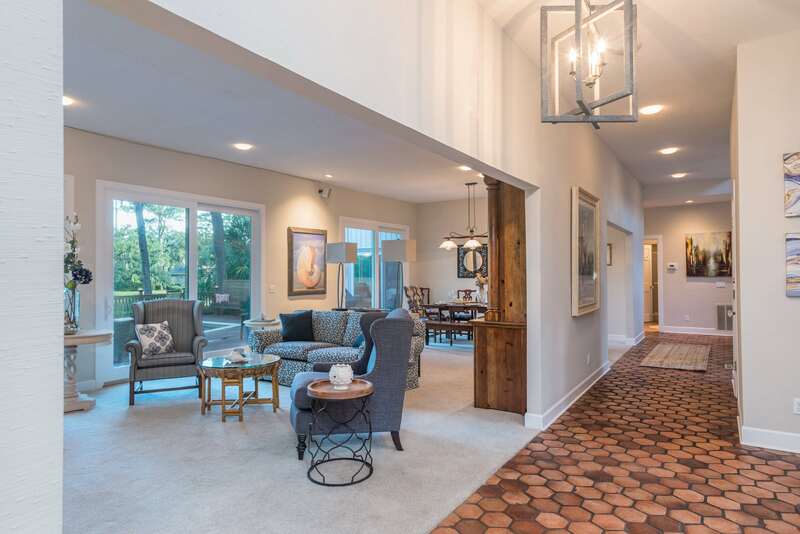 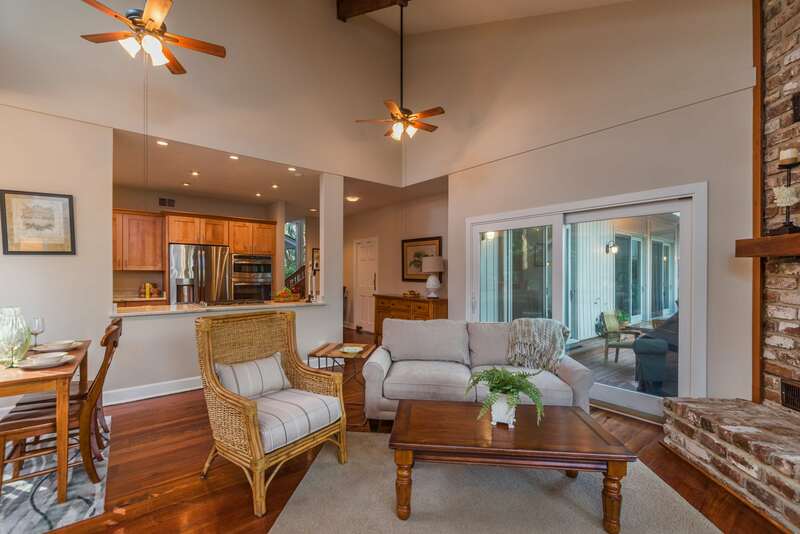 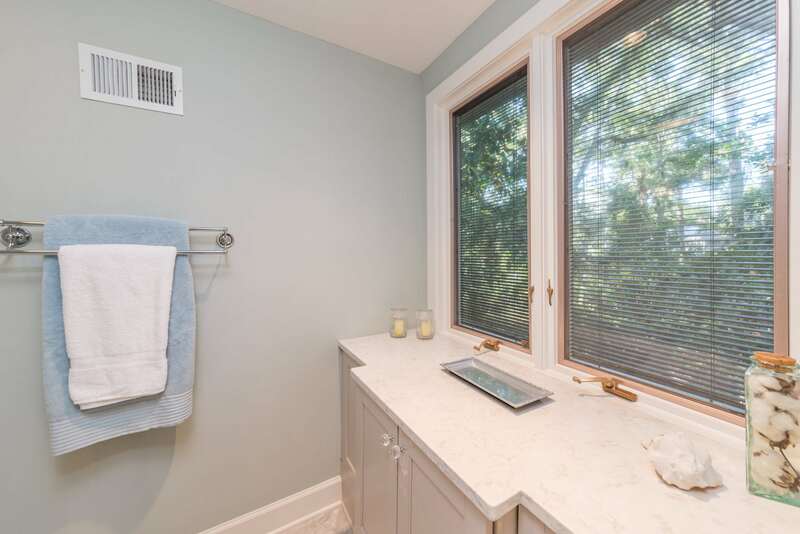 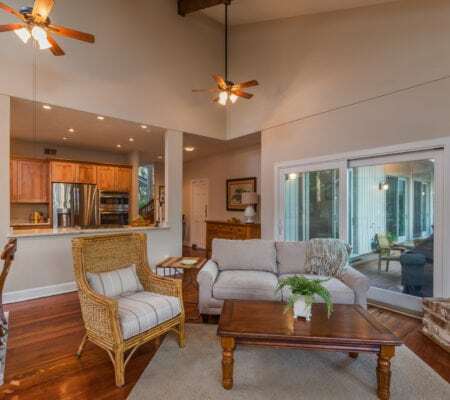 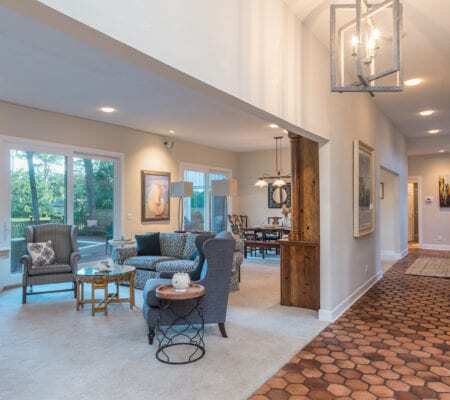 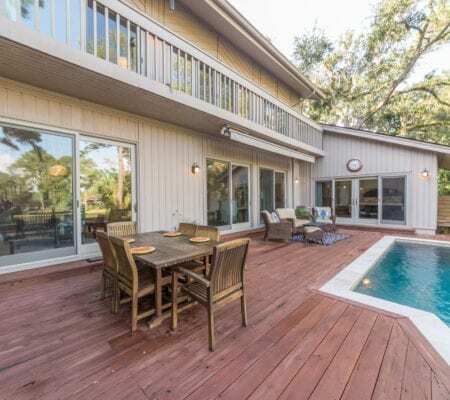 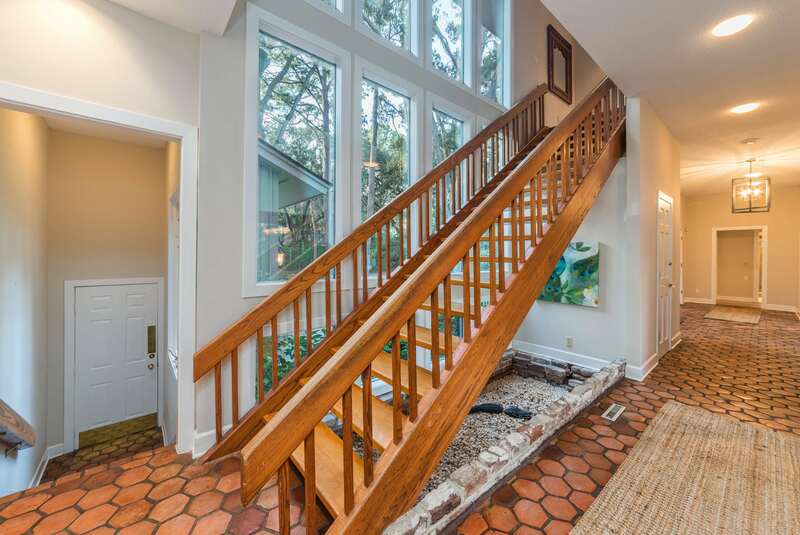 Located in the highly sought-after neighborhood of Baynard Cove Road in Sea Pines, this beautifully remodeled home exudes a warm and casual elegance with amazing views to the infamous Egret Lagoon. 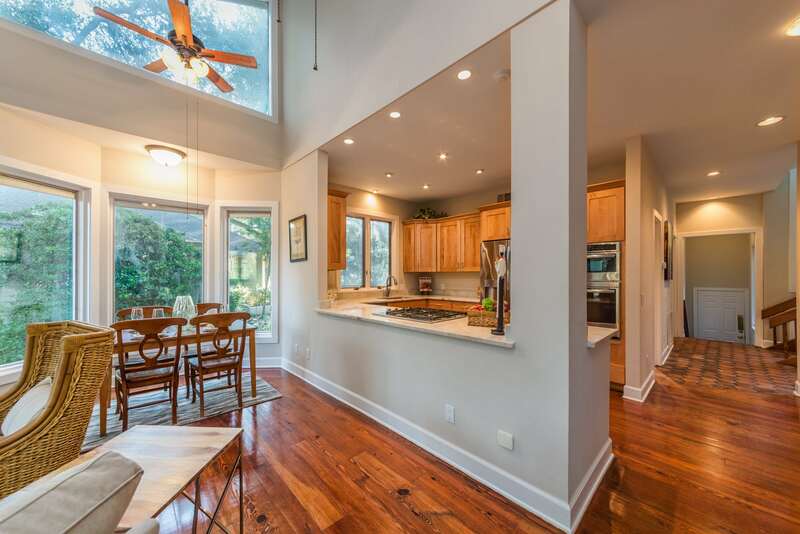 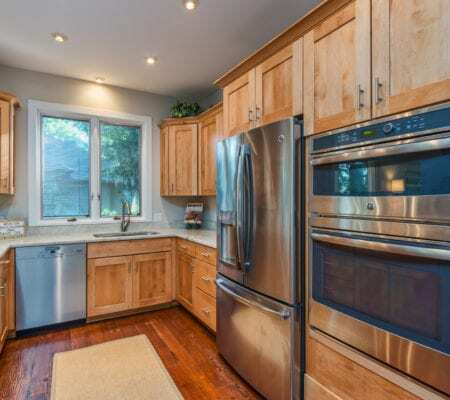 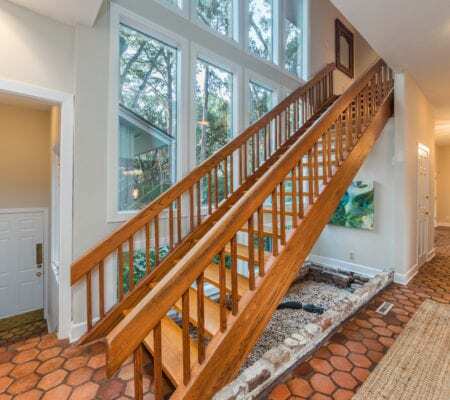 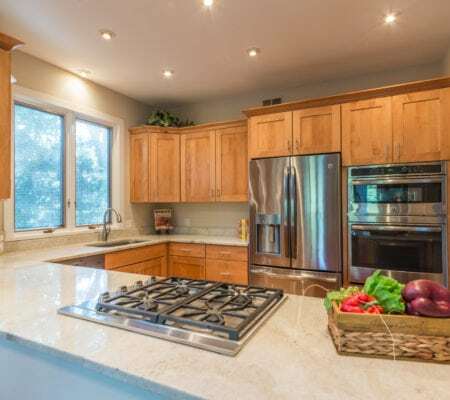 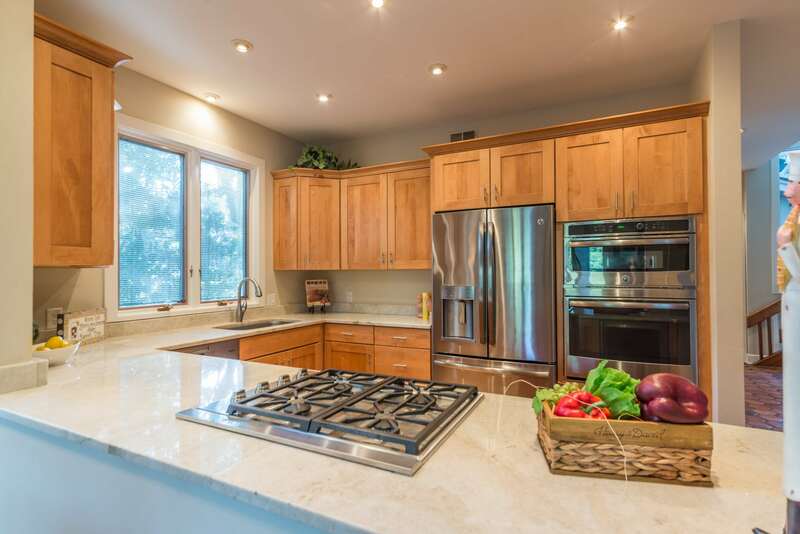 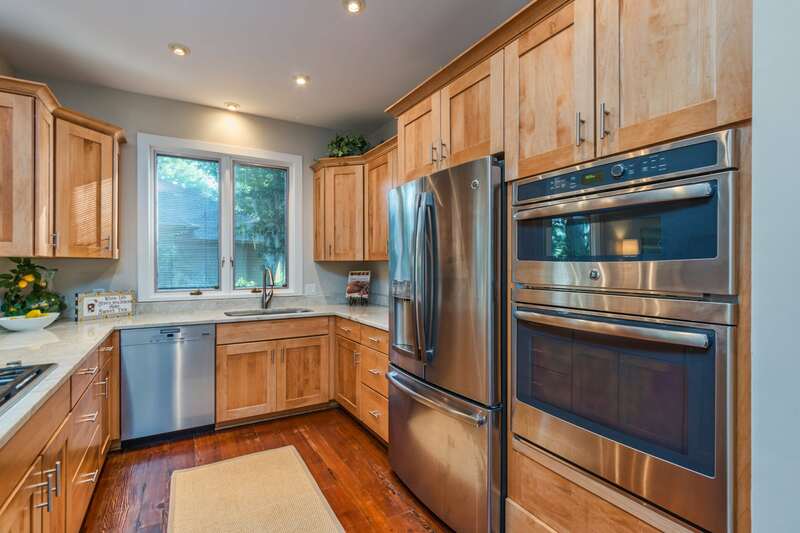 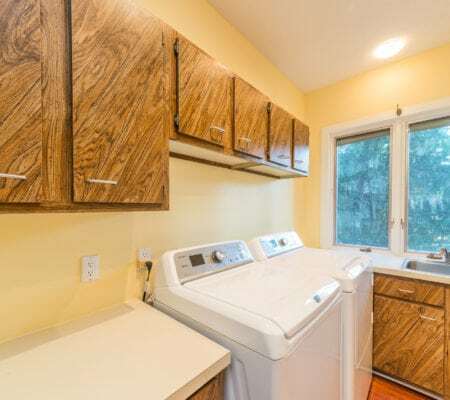 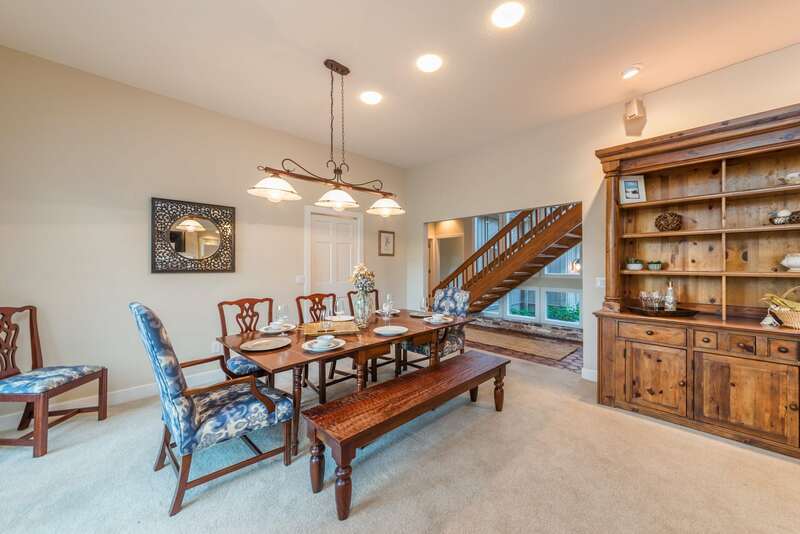 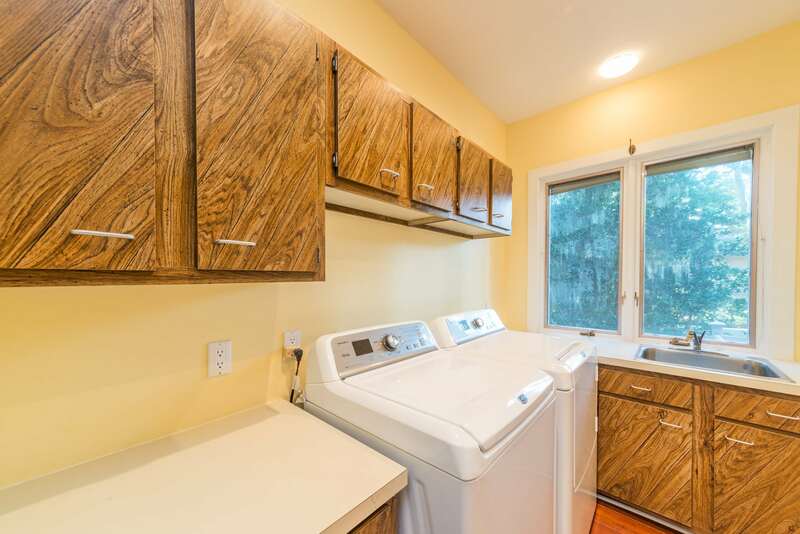 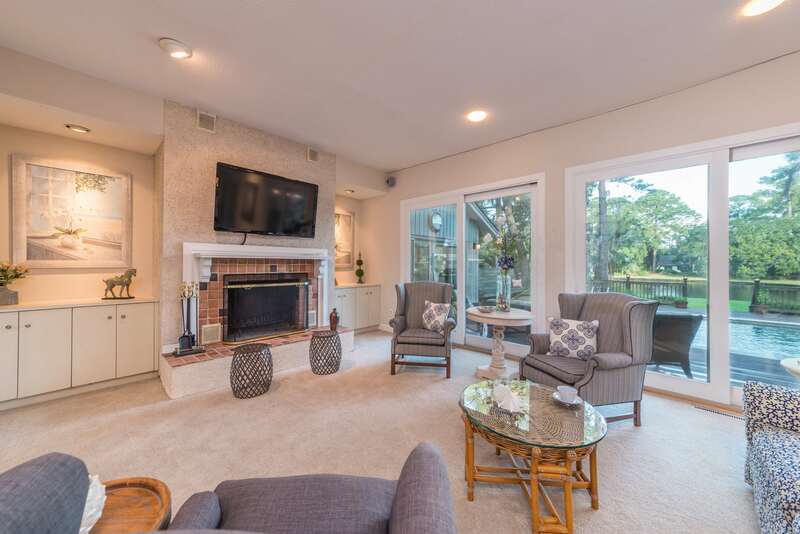 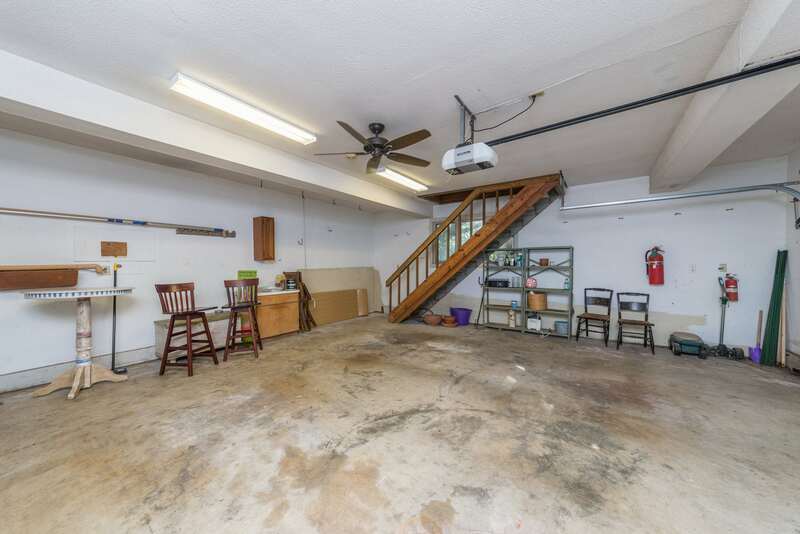 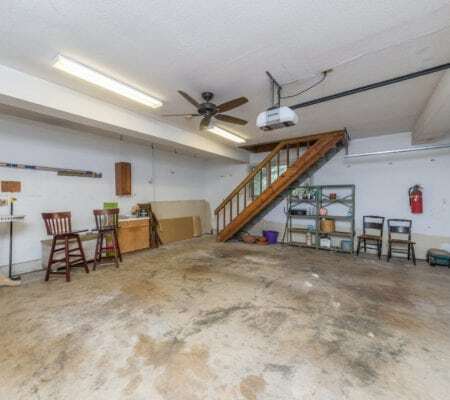 This home offers heart of pine flooring, updated baths, smooth ceilings, 2 fireplaces, newer roof, 4 bedrooms and 5 baths. 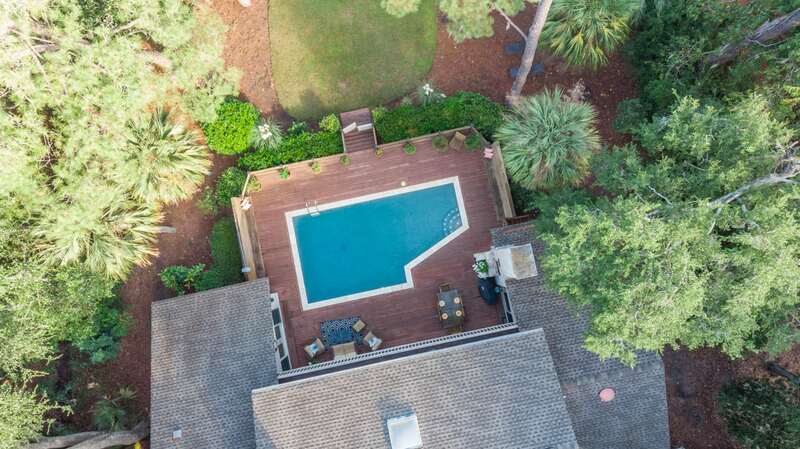 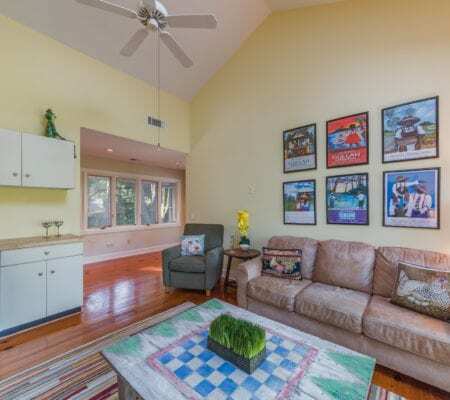 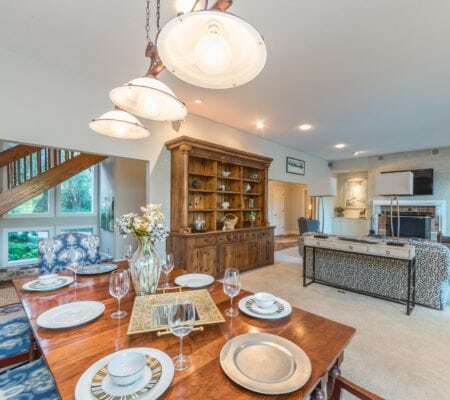 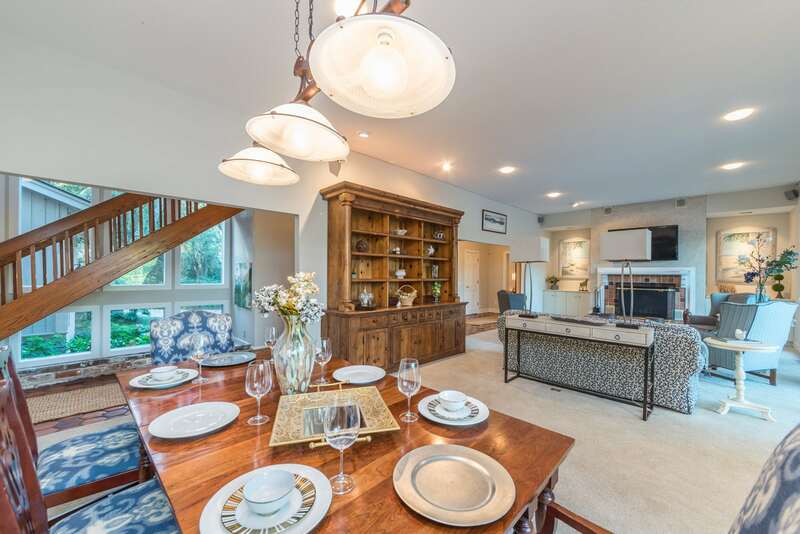 On the first floor there is an impressive Kitchen/Family Room with Taj Mahal granite and top of line appliances, a large great room with soaring ceilings and a dining area overlooking a tremendous entertainment deck with pool, fire pit all surrounded by lush landscaping and wide open lagoon views giving total privacy. 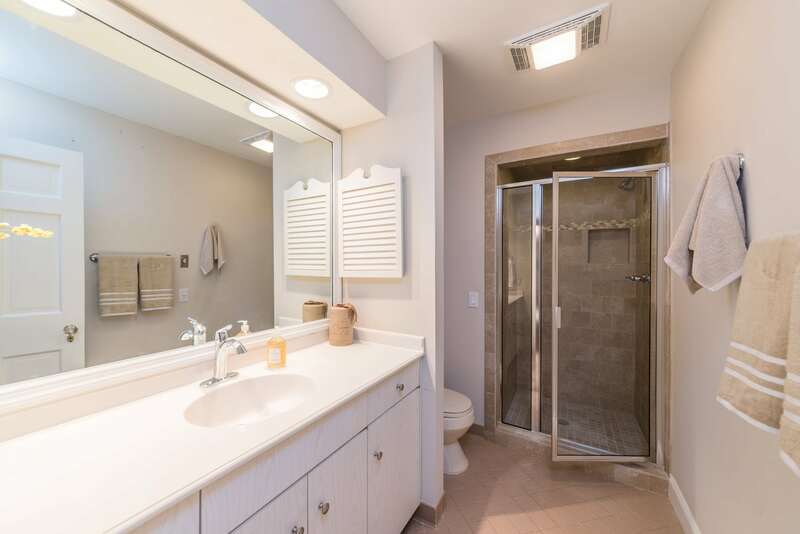 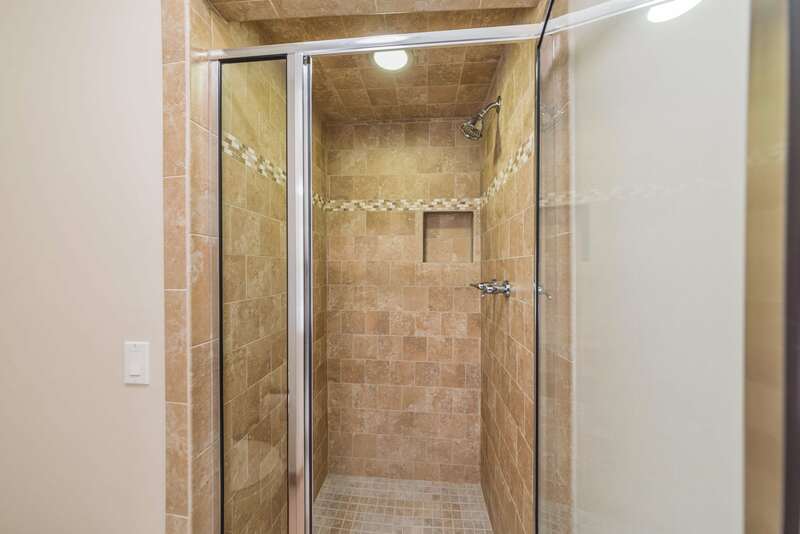 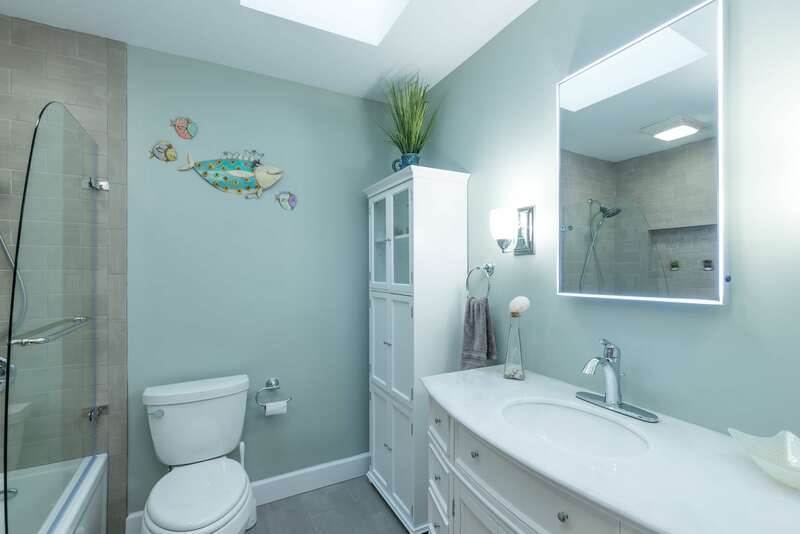 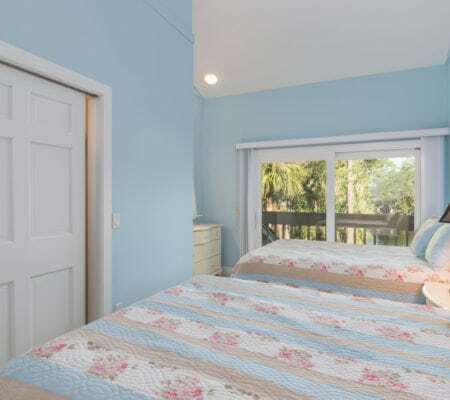 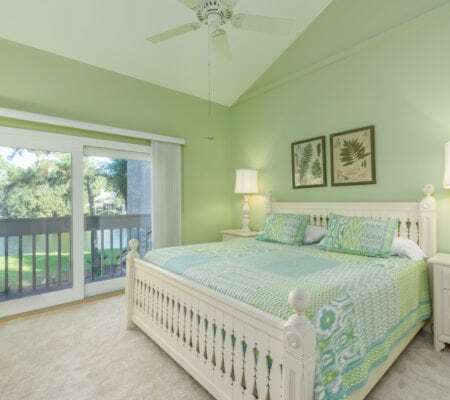 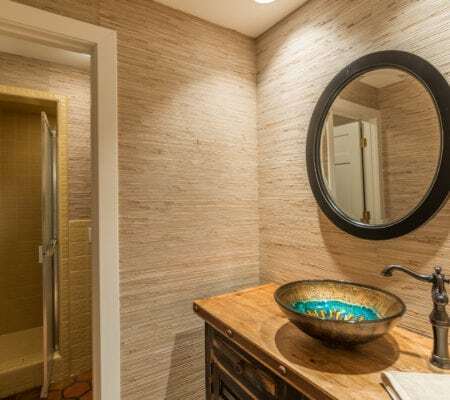 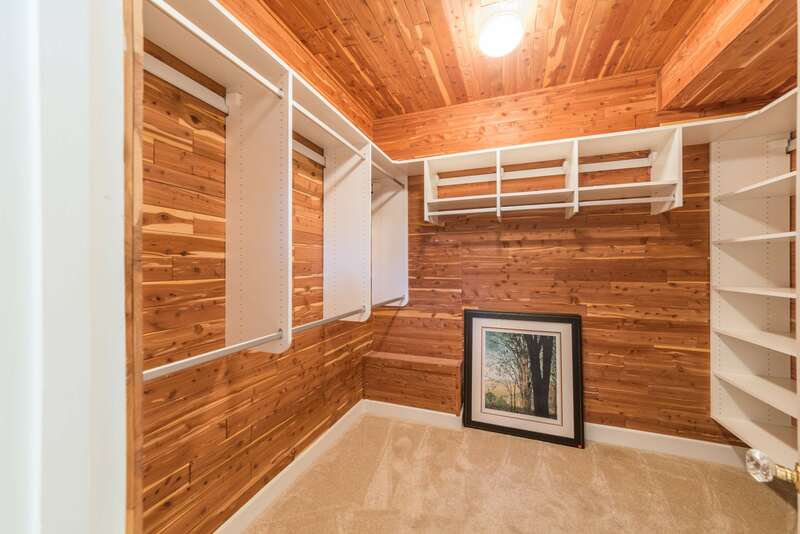 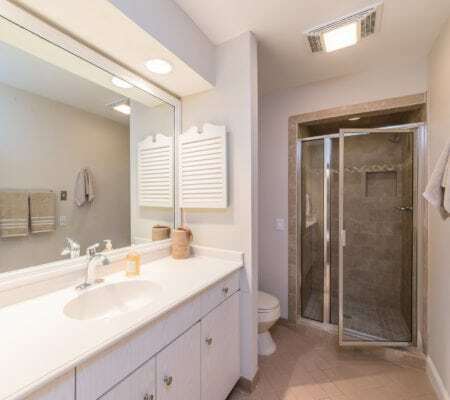 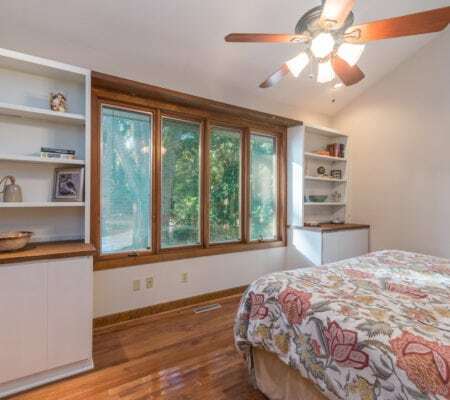 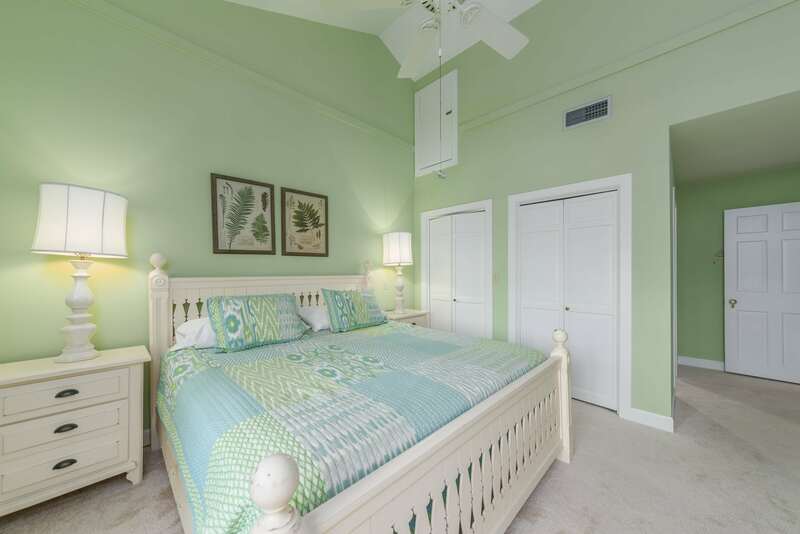 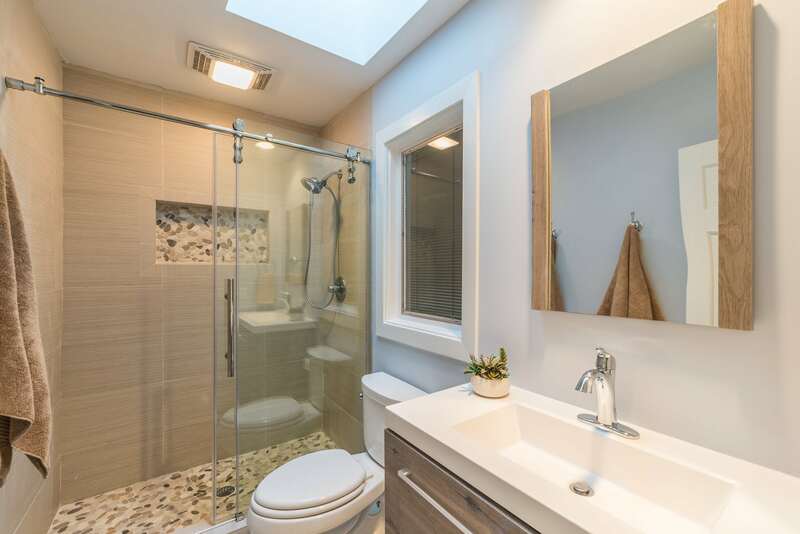 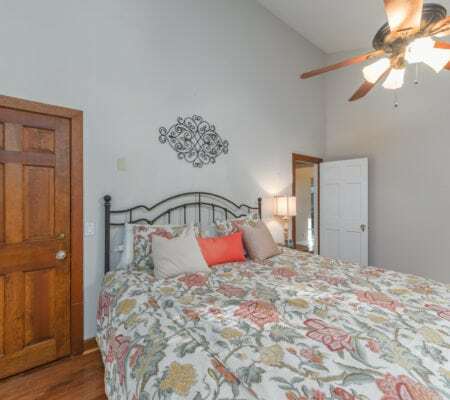 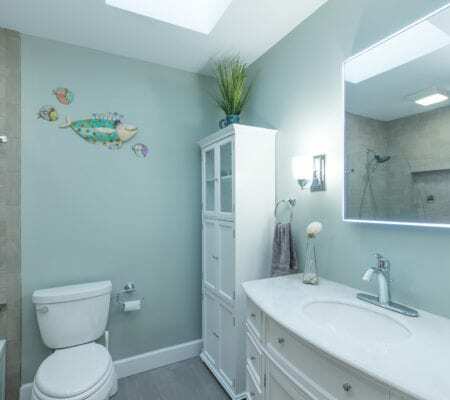 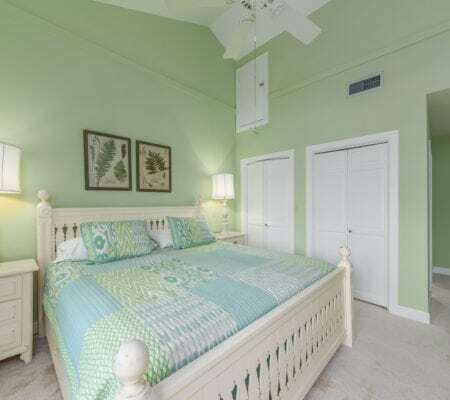 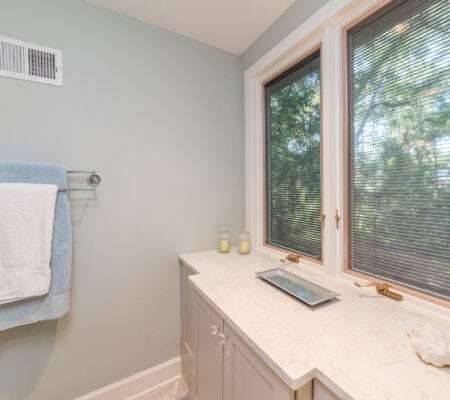 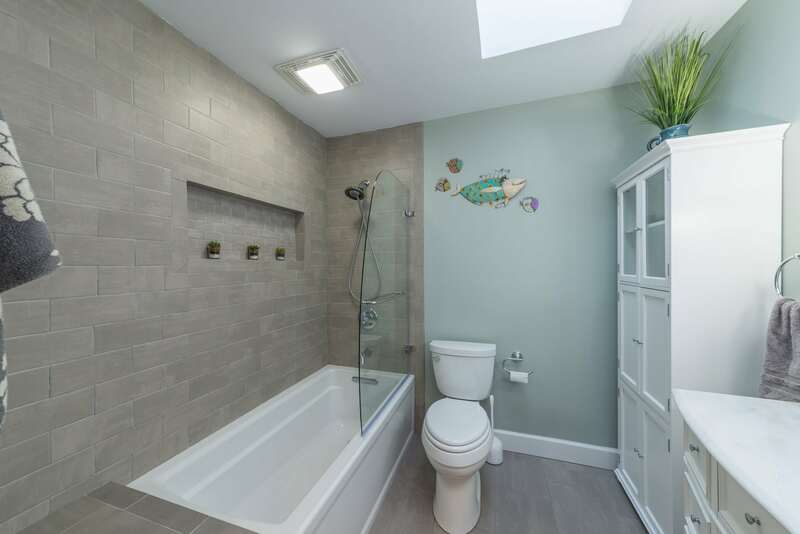 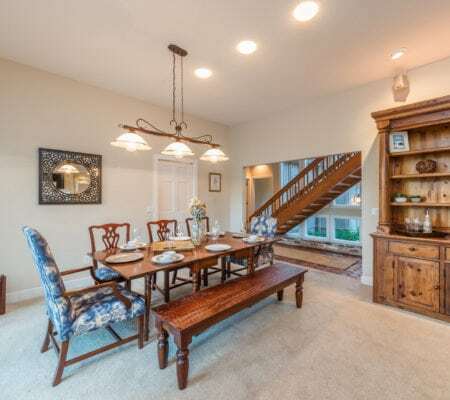 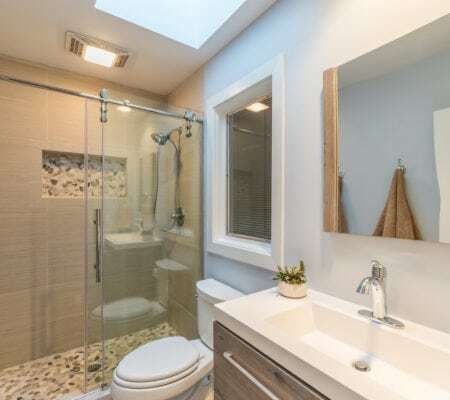 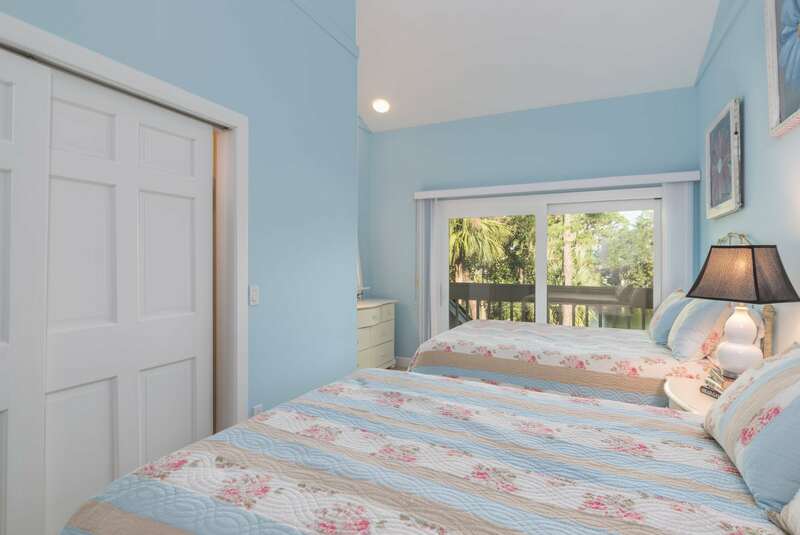 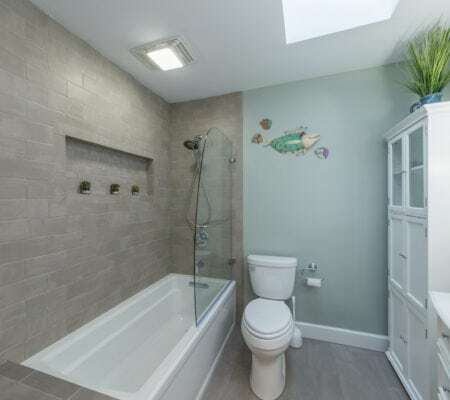 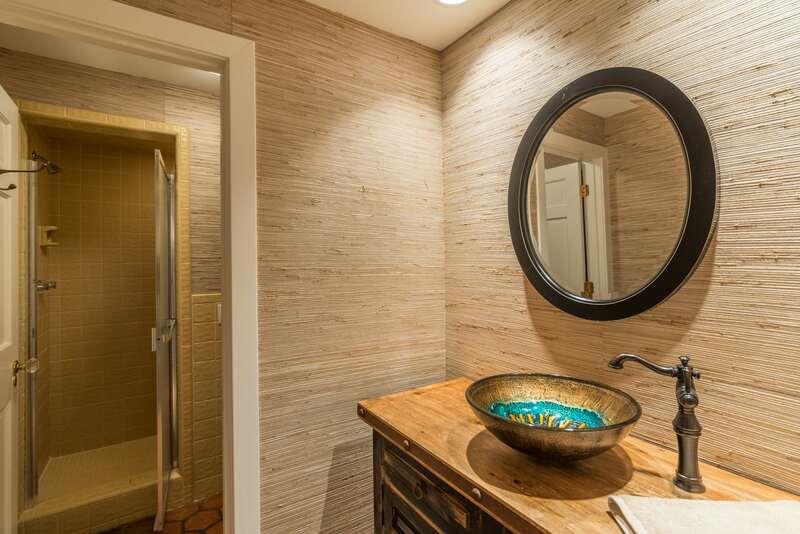 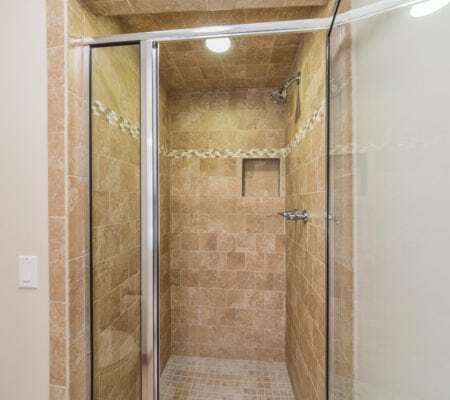 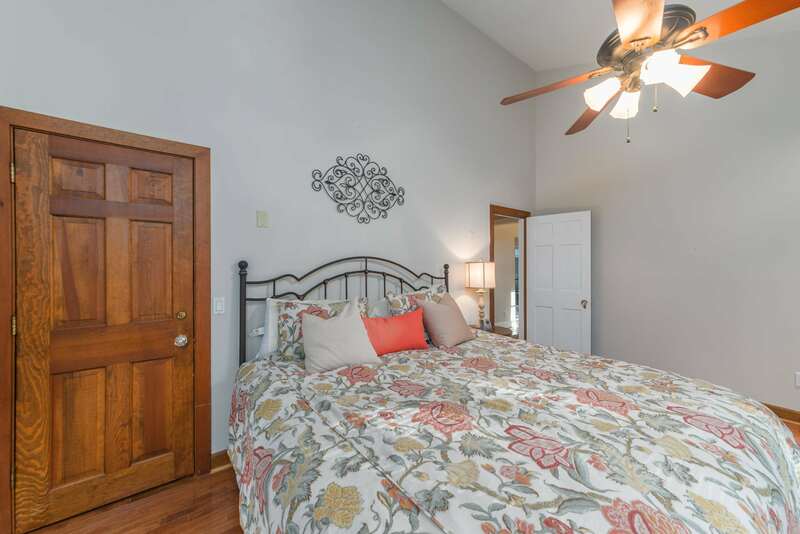 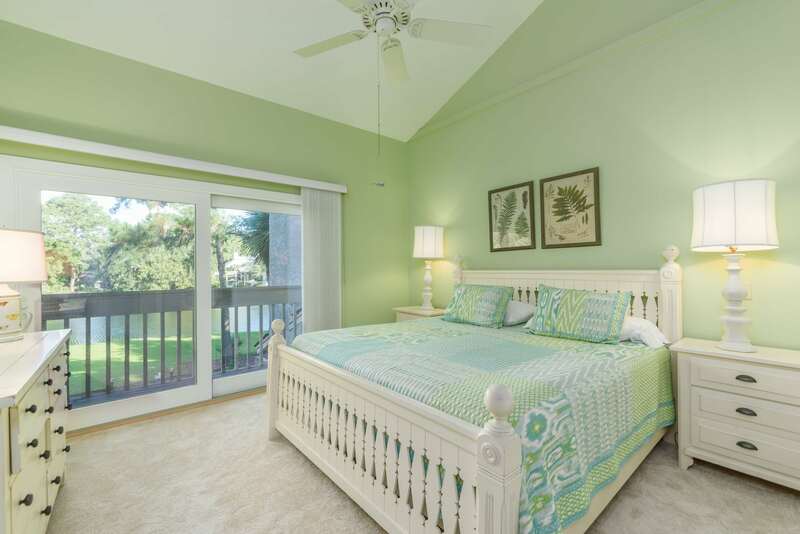 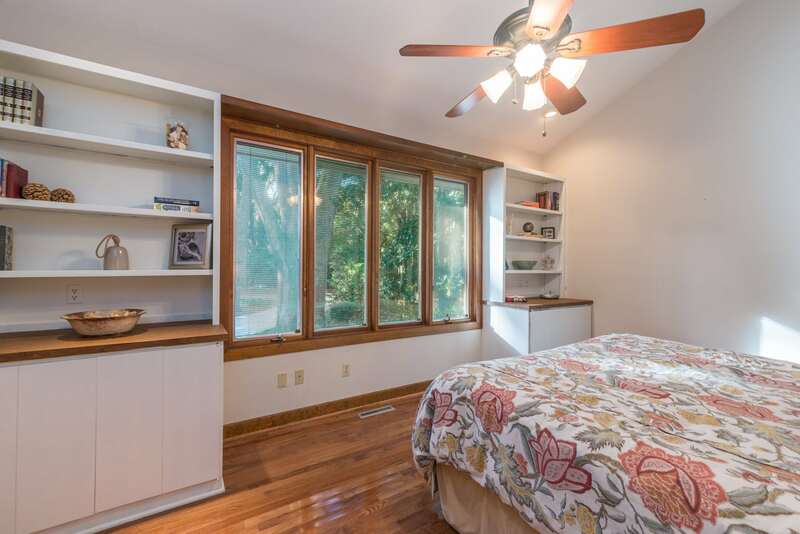 The Second floor offers 2 bedrooms with en-suite baths and a separate living area. 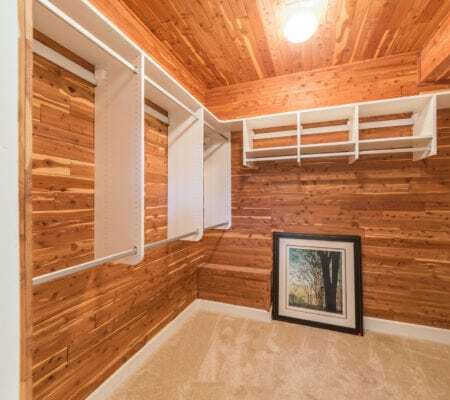 Enjoy being a Baynard Park member and have access to a new pavilion, new community dock, and kayak storage! 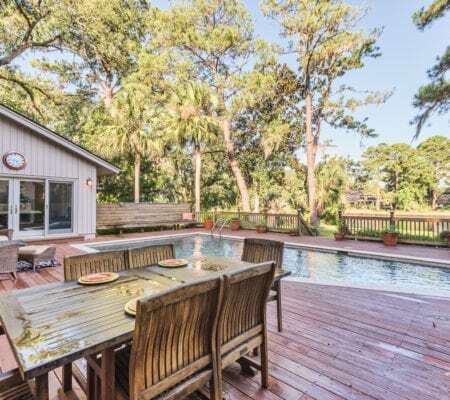 Perfect for full time living, 2nd home, or rental investment property, you decide!